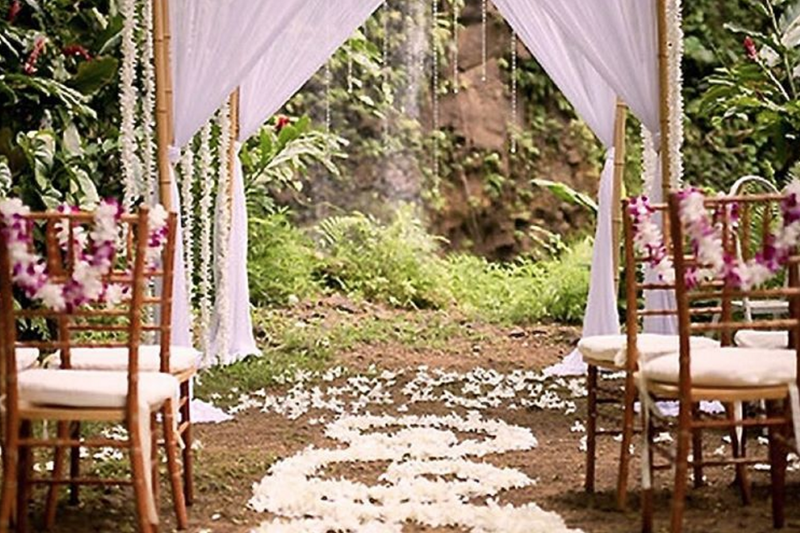 This beautifully secluded location is a ideal for a private, exotic, waterfall wedding. 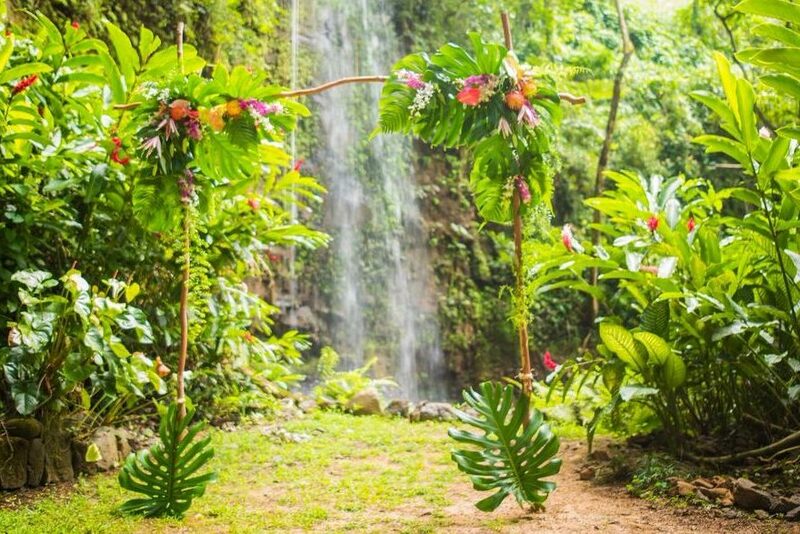 Kalihiwai Falls is a beautiful two-tiered fall that is visible from the Kilauea bridge that over looks the Kalihiwai River. 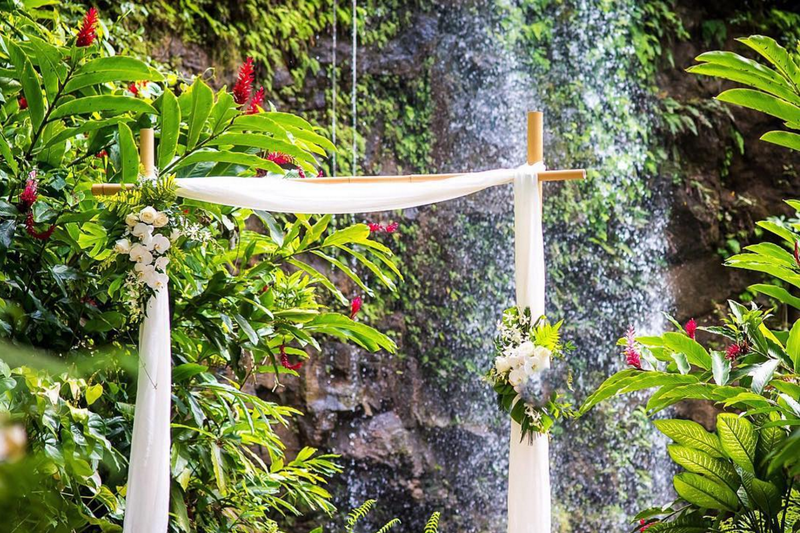 This stunning waterfall is surrounded by flowering plants and immersed in the rich green lushness of Kauai’s North Shore. 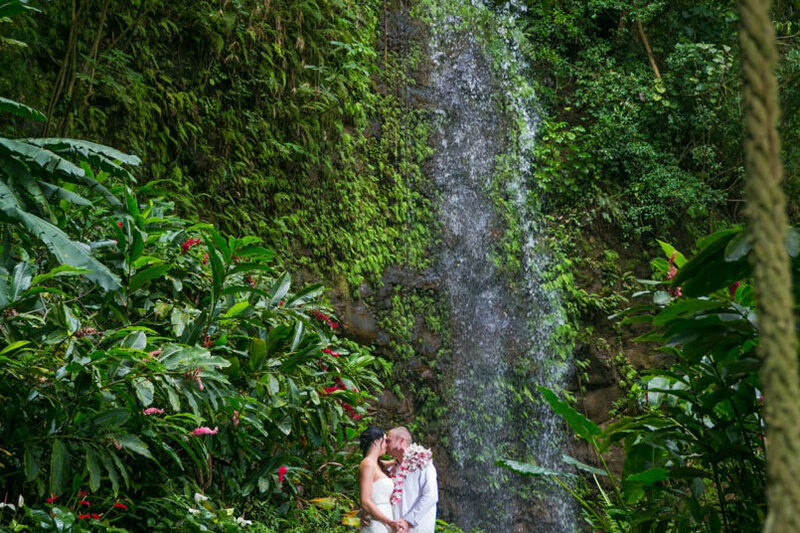 This is the perfect location for those brides interested in “Trash the Dress” photos which can be captured in, around and behind this gorgeous waterfall nestled in tropical rainforest.